In at number ten is The Nice Guys, illustrating how good Ryan ‘Hey Girl’ Gosling is at pratfalls. No number nine, as Julieta tied with Sing Street at number eight. Sladey: “Really enjoyed it. Glossy but not too glossy, soapy but not too soapy exploration of love and loss and parenthood. Lovely cameo from Rossy de Palma. Was only mildly distracted by the lead’s wardrobe. At number seven we have I, Daniel Blake, Ken Loach’s highly political, brutal and divisive film about our welfare state. Moving into the top five, at number five comes Hail, Caesar!. Re-establishing the Coen Brothers’ ability to mix comedy, rumination and beautiful homages to Hollywood’s golden age. Clio: “So, I can understand why audiences are hating it. It’s the most dry and least immediately accessible Coen film I’ve seen in a while. But, like all Coen films, it should improve massively on rewatch. I think it suffers from being superficially fluffy while actually dealing with The Big Questions, like religion and belief. I did feel kinship with one other woman in the cinema, most of the time it felt that we were the only ones laughing, but we laughed a lot. Also, there were lots of 1950s Hollywood jokes which probably went over most people’s heads; they certainly passed Mr. Clio by. (Like the Wallace Beery Room! I loved the Wallace Beery room. Full of portraits of Wallace Beery). BunnyLake: “One of the reasons I found the film moving, is we live more in a Lockheed world than a Capitol Pictures World. I had the thought that maybe Mannix did end working for Lockheed after all, when they bought Capitol in the 70s. At number four is Hunt for the Wilderpeople, from the Director of Flight of the Conchords and What We Do in the Shadows. MrsMills: “Now added to my favourites of 2016 list. I loved this. I liked the nods to Wes Anderson, but it was so much its own self that that was all they were, nods. The leads were fantastic, the supporting characters were fantastic. I laughed, a lot. The script was great. Who knew Sam Neil had such great comic timing? Not I. Next up at number three is High-Rise, from another MostlyFilm hero Ben Wheatley. Achieving the supposedly impossible feat of transposing J.G.Ballard’s novel on to the big screen. jim5et: “I liked this a lot – obviously it’s a million miles from the chilly forensic detachment of Ballard’s novel, but chilly forensic detachment would make for a f*ck-boring movie, whereas going balls deep into a Ken Russell homage made for an absolute blast. The slo-mo dance sequences alone were worth the tenner. Clio: “This was top of my 2016 list by quite a way, and I saw it twice in the cinema. The fact that I was teaching cinematic representations of time via editing just when I saw the movie almost certainly influenced my response. The way it juggles the different timeframes (and leads you up the garden path) is masterful. In the absence of an acting nomination for Amy Adams I would settle for Editing, Adapted Screenplay and Directing Oscars. I posted this link on, I think, the book thread, but here it is again – David Bordwell on time in Arrival and comparisons with the original story, here. MaxFischer: “What it has going for it is consistently imaginative staging by Villeneuve (the way he breaks the story of the UFOs’ appearance is beautifully done, and the first half hour of the film reminded me a fair bit of the oblique narrative and visual strategies of Upstream Color, albeit very dialled down for the mainstream), a great score by Johann Johannson, and a typically alert Amy Adams turn. The tearjerker element got to me at the end, but I was always aware that the film trafficked in a kind of melodrama (on the personal and the global scale) that Ted Chiang’s source story doesn’t, albeit partly because Chiang is the kind of old-school SF writer who can render the most outrageous concepts in prose, but not so much normal human interaction. And the way the alien contact itself is handled feels a bit off-the-shelf compared to what came before. 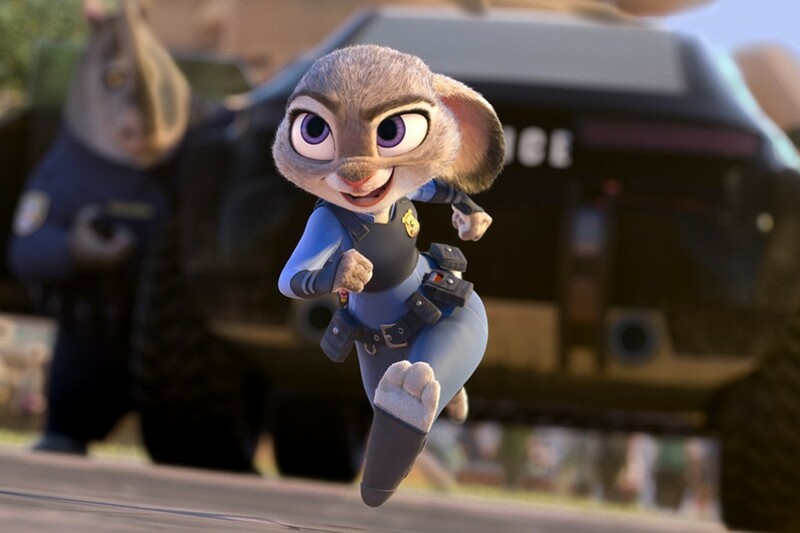 It’s official, the MostlyFilm best film of 2016 is Zootropolis (or is it Zootopia?). You are all more than welcome to participate in MostlyFilm’s Best of 2017 on FUBar, and to let us know your favourite from the current top ten using the poll below. NB: JohnCooperClarke is simply a FUBar poster’s username.